Maxi-Ject Blowpipe Systems enable you to easily and economically inject a wide variety of animals remotely without the trauma of other systems. 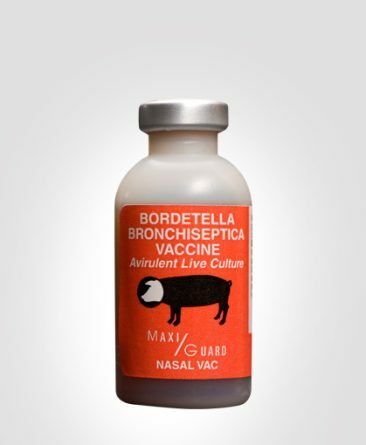 Virtually every size of animal can be safely injected, from small animals such as cats and dogs to bigger animals such as deer, cattle, horses and large exotics. With a velocity of 150 feet per second and an accurate range of up to 60 feet, it is suitable for most field situations. Our Maxi-Ject Systems are sold in complete kits that contain everything you need to remotely administer your drug of choice. Sedatives, vaccines, antibiotics and most other syringeable medications are compatible with this system. Darts can be loaded and accurately shot in a matter of seconds and are reusable. On what size of animals can you use Maxi-Ject Systems? Our blowpipe systems can safely be used on virtually every size of animal from small wildlife and domestic cats and dogs to cattle and large zoo animals. Our systems are very popular with small, mixed, large and zoo animal veterinarians as well as animal control organizations. What is the maximum range of your blowpipe systems? Accurate range of our systems vary on several factors including size of dart, amount of drug used and proficiency of the user. It is important for the user to practice with the system before actual use to ensure better accuracy and increased range. Maximum effective range is up to 60 feet with a velocity of approximately 150 feet per second. What are the primary advantages of Maxi-Ject blowpipe systems over traditional capture guns? Our blowpipes are generally safer for close range shots and for smaller animals. With blowpipes, the darts are projected by the user’s air so no Co2 canisters or .22 cartridges have to be on hand to use them. Blowpipes are virtually silent when shot and they keep the target animals quieter, therefore less sedative drug is needed. 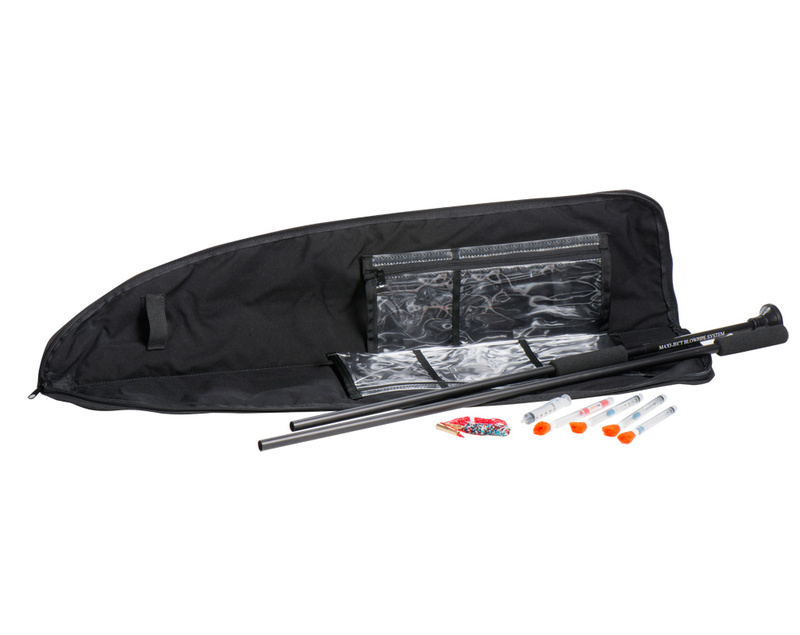 Finally, our blowpipe systems are sold in complete kits and are usually much less expensive. What is included in the Maxi-Ject Blowpipe System complete kit? 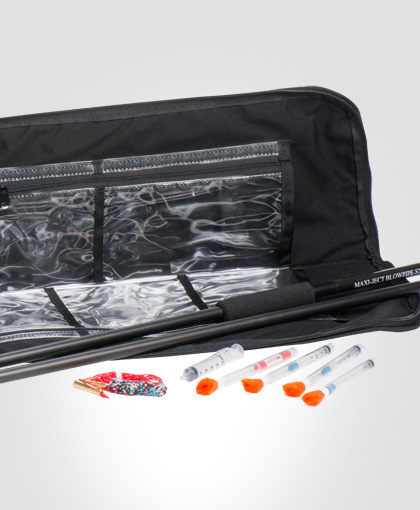 The kit includes a 4.5 foot take-down blowpipe, 3 syringe darts, 3 needles, syringe connector, venting pin, safety cap, cleaning kit, practice syringe or practice needle, instruction manual and custom case. The size of the blowpipe, darts and needles depend upon the size of kit you order. What sized darts are compatible with what sized blowpipes? We offer blowpipes of two different inside diameters. The 11mm blowpipe can shoot our 1ml, 2ml and 3ml darts and are included in our 2ml and 3ml complete kits. Our 14mm blowpipe shoots only our 5ml darts and are included in our 5ml complete kit. All darts can be filled to less than full capacity to meet dosage requirements. Are the syringe darts and needles reusable? Yes, most of the time the darts and needles can be used multiple times before they have to be replaced. Both may be cleaned with chemical disinfectants, but they should not be autoclaved. What type of drugs are suitable for use with the Maxi-Ject Systems? 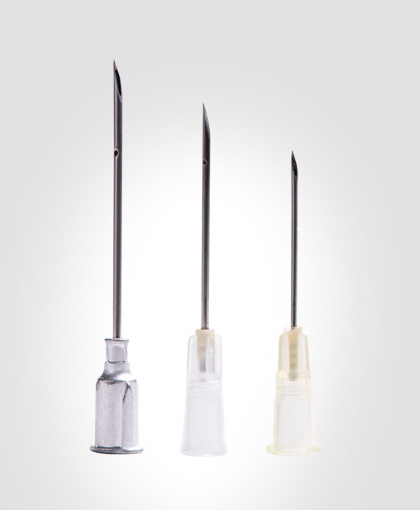 Virtually any drug that can be drawn into a syringe can be used with our syringe darts, but most of the time some type of tranquilization solution is used. However, due to the fact that our darts will work their way out of the injection site and drop to the ground, you may use drugs other than sedatives. Vaccines, antibiotics and other medications can be administered remotely and without confinement. Click here to request a price list or for ordering information!